One of the nicest things about getting a writing career off the ground is the point where someone asks if you can contribute something to a project. There’s a warm fuzzy glow when this happens, and it’s almost impossible to resist, because however little time you have, it feels like a privilege to be asked. This is especially the case when the brief is as exciting as a project as The Lowest Heaven, a solar-system themed anthology which was published by Jurassic last summer. By the time I came on board, most of the major planets had been snapped up, and my choices came down to Ceres and the Oort Cloud. Whilst the Oort Cloud got kudos for being generally weird and cool (with some wonderful theories expounded on Wikipedia and elsewhere), I wasn’t sure I could do it justice in the short time I had to write the story. In mythology, Ceres is the goddess of agriculture, fertility and maternal relationships. Despite its lowly dwarf planet/large asteroid status, Ceres occupies a rather strategic point in the solar system, and has an icy mantle, the possibility of water below and the potential for mining. Taking the motherly relationships angle, my original idea was to write something around an astronaut/explorer mother and her relationship with her daughter. 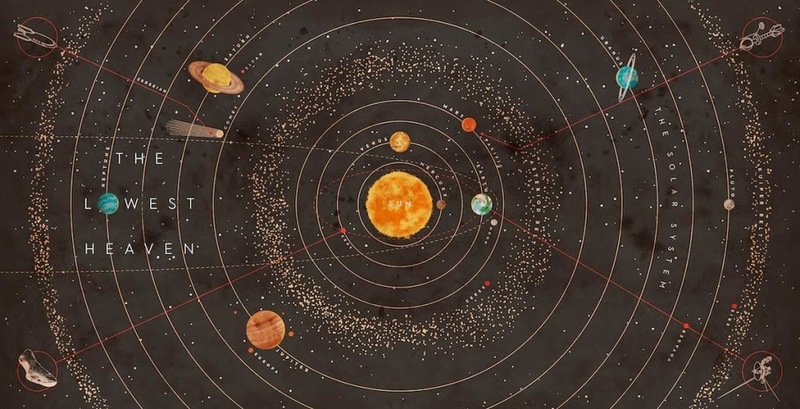 The brief for the anthology was to take inspiration from the planets, rather than to locate the stories geographically within the solar system, but I was intrigued by the concept of the lengthy time and distances that would be involved in early space travel, and how that might impact on familial relationships. Initially I had the daughter character pegged at a child or teenage age, and thought the focus of the story would be on growing up with a mostly absent parent. Then I stumbled across a story by the author Joe Dunthorne which was written in the first person plural, and something sparked in my head. I’ve always been a huge fan of Jeffrey Eugenides’s The Virgin Suicides, a creepily atmospheric novel which sustains a first person plural voice throughout. But I’d never come across it used anywhere else, until now. What if I could try a collective voice with this? After I’d pinned down the voice, the scope of the story broadened and suddenly I was writing something from the perspective of three adults looking back on their lives. For once, the title to the story was easy. 'Saga's Children' is available to read for free on Pornokitsch and an audio version is available in this episode of Starship Sofa. E. J. 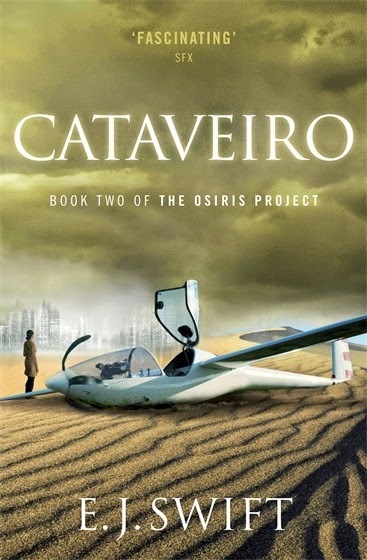 Swift is the author of Osiris and Cataveiro, the first two volumes in The Osiris Project trilogy. Her short fiction has been published in Interzone magazine, and appears in anthologies including The Best British Fiction 2013 and Pandemonium: The Lowest Heaven. 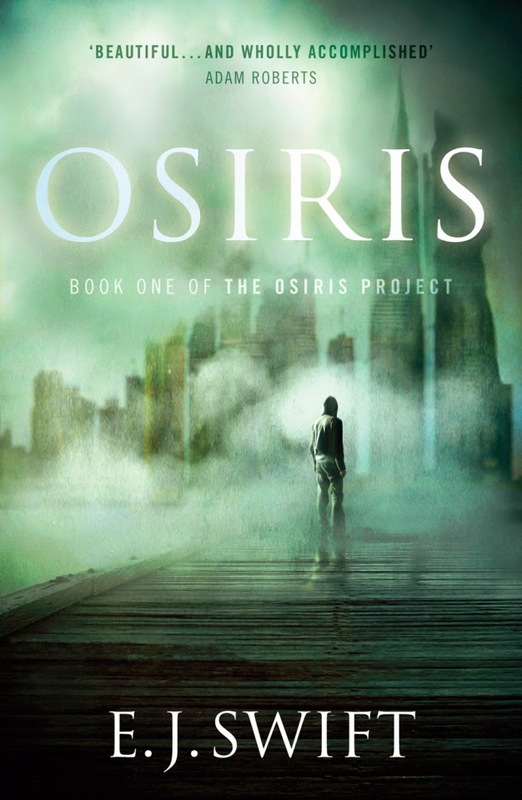 She is shortlisted for a 2013 BSFA Award in the short fiction category for her story Saga’s Children.